I said yes, not quite sure exactly what would be involved, but knowing that it was a rare opportunity to speak to Cowden’s Syndrome awareness. What an amazing show. I am so glad to be familiar with it now, and you should check it out! Somehow the words came pouring out. It’s amazing what speaking from the heart can do. I can only hope that someone tonight knows what they didn’t know before. I find there to be no coincidences in life. After my segment in the “Survivor Spotlight,” the show focused on toxicity and cancer. Well even though I just listened in to THAT part of the show, I was so in tune to what they were saying. Near as I can figure these days, breathing increases your cancer risk. But, taking crappy care of your body, eating junky food, and generally being careless, puts you at a greater risk than if you are careful. There is nothing we can do, especially those of us with genetic predispositions to cancer, to fully protect us. But we can do what we can to help. There is no guarantee I won’t get hit by a car, but if I stand in the middle of the street I greatly increase my chances. People ask why we devote so much of our time, energy and budget into healthy food. Genetics are not on our side. But we can fill our bodies with healthy, pure, organic superfood. 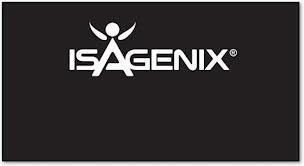 These days the core of the nutrition in our home comes from Isagenix. It does not claim to prevent, treat or cure any disease, but If you haven’t looked yet – now is a good time. This company provides quality food, and they make it possible for you to afford it, because you can eat your Isagenix for free. Well worth my initial investment. Quality nutrition for my entire family. We are certainly going to do the best we can at all times. Our health, no guarantee. But we are going to do the best we can to keep that “STUPID CANCER” away. Previous I STILL HATE CHEMISTRY! Next I wish cancer got cancer and died! PS, I’m listening to it now! it’s so neat to hear your voice and thank YOU for what you’re doing to raise awareness for Cowden’s Syndrome.